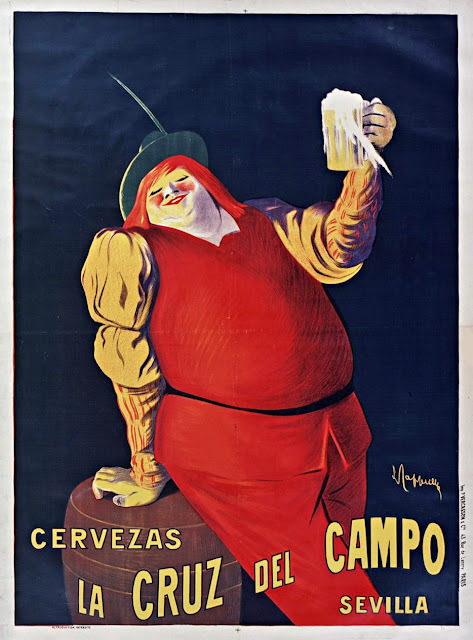 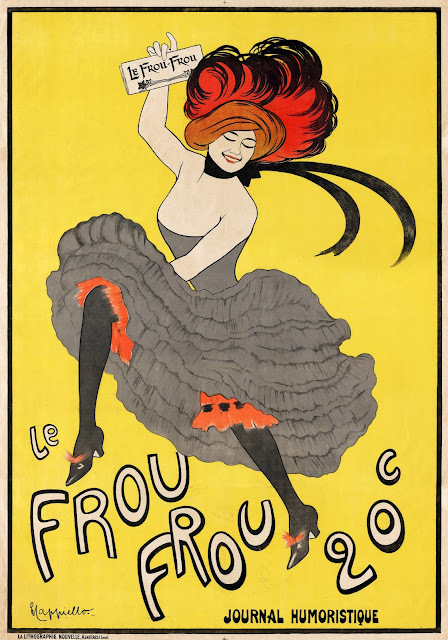 Leonetto Cappiello (1875 – 1942) was an Italian/French poster artist and painter, who mainly lived and worked in Paris. 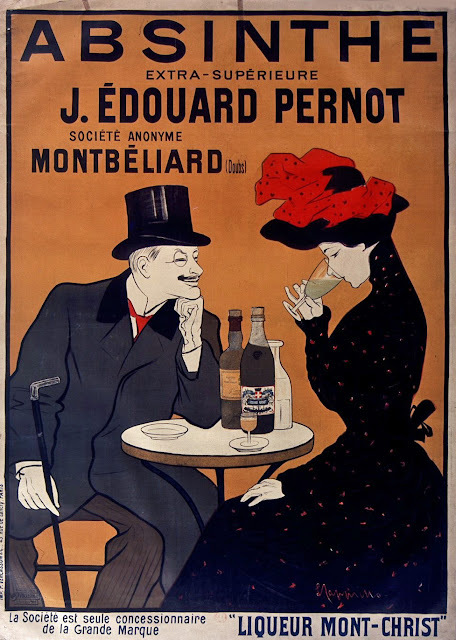 He is now often called 'the father of modern advertising' because of his innovation in poster design. 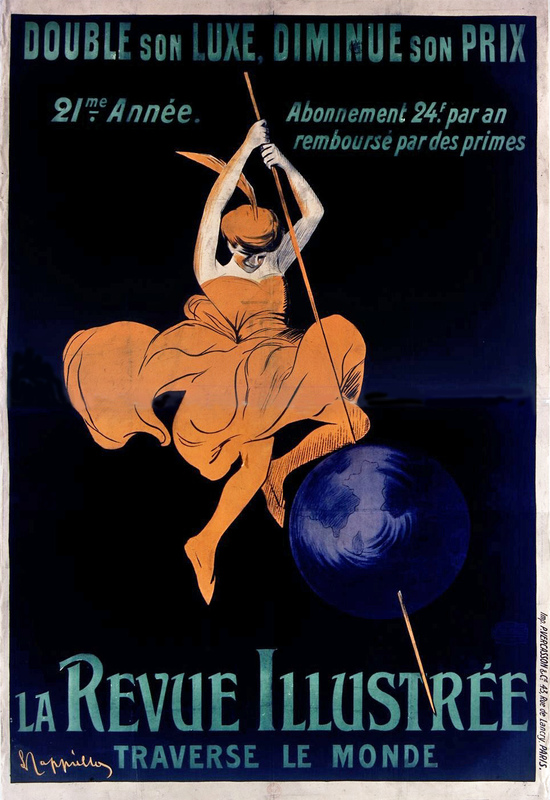 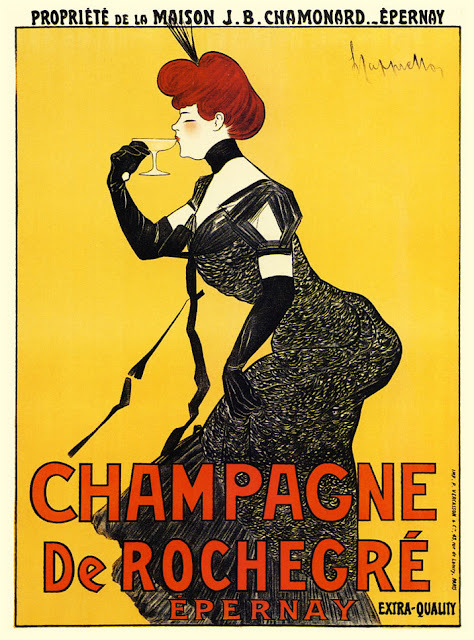 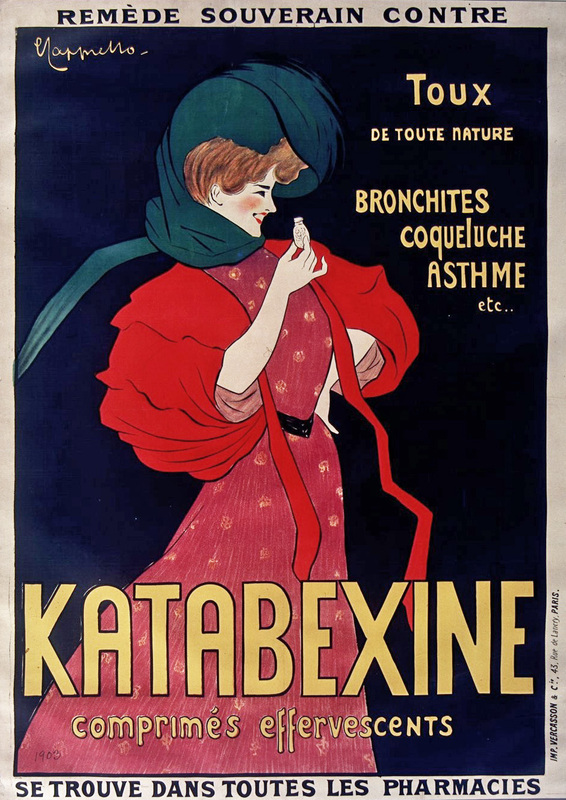 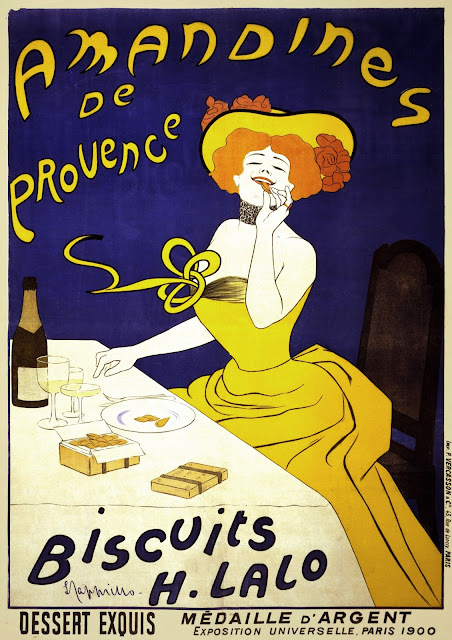 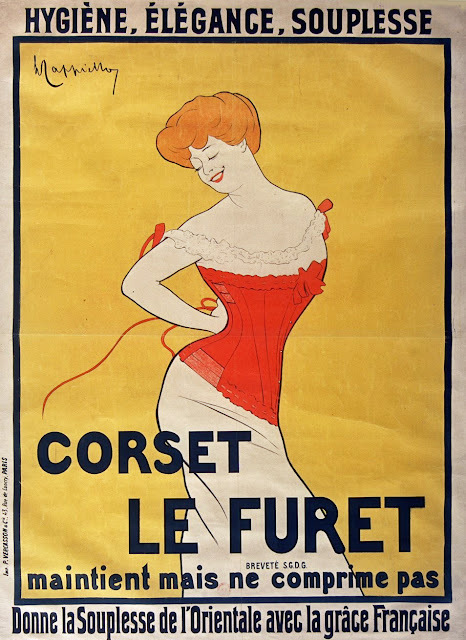 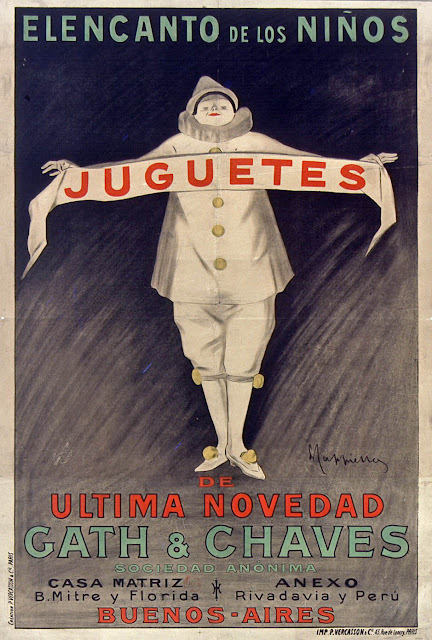 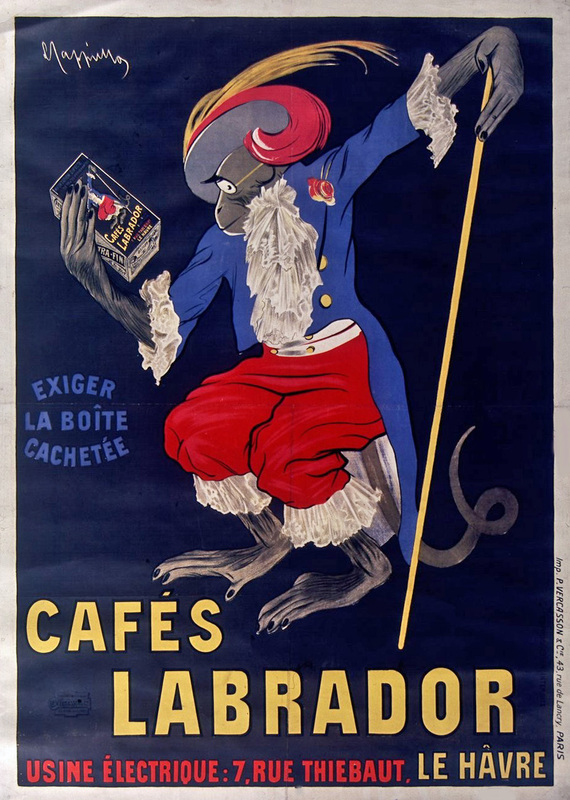 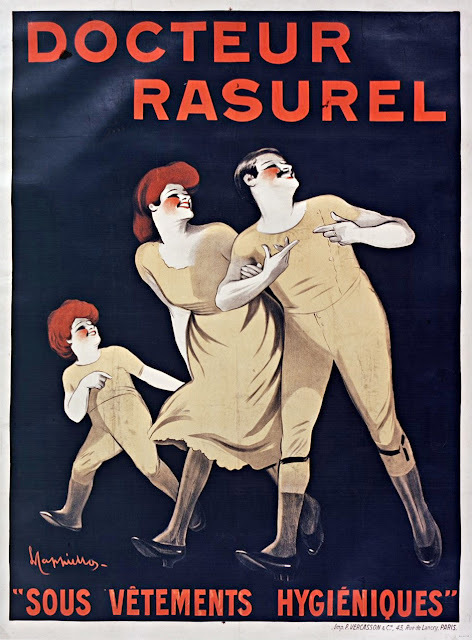 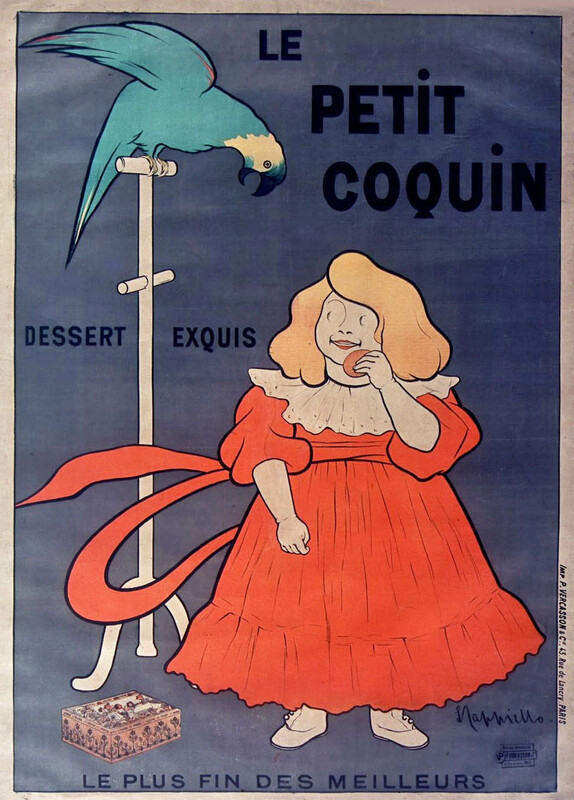 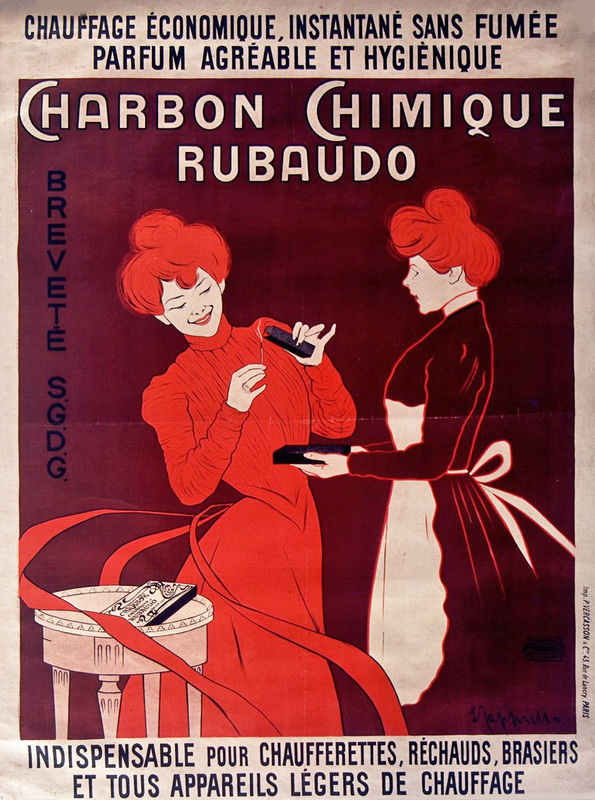 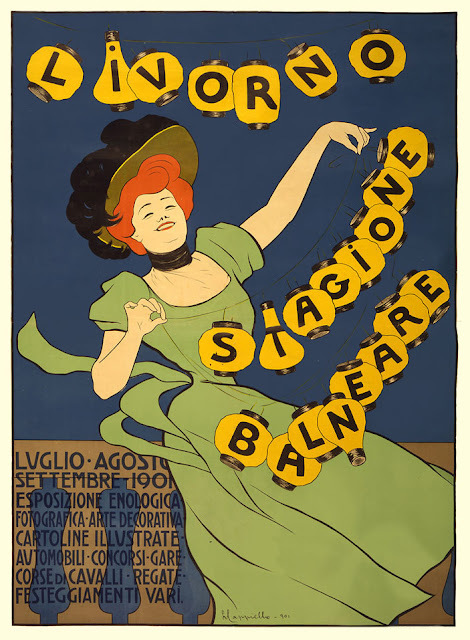 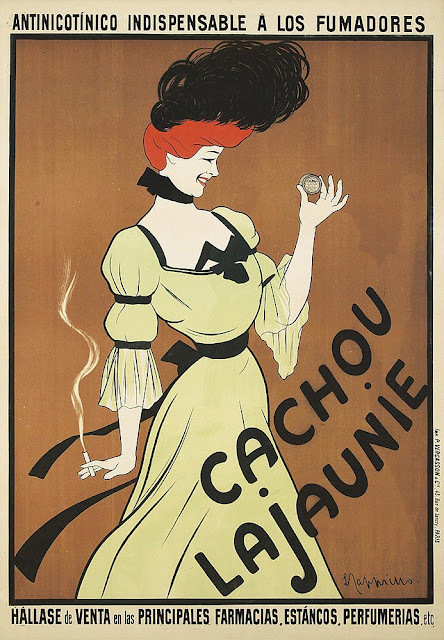 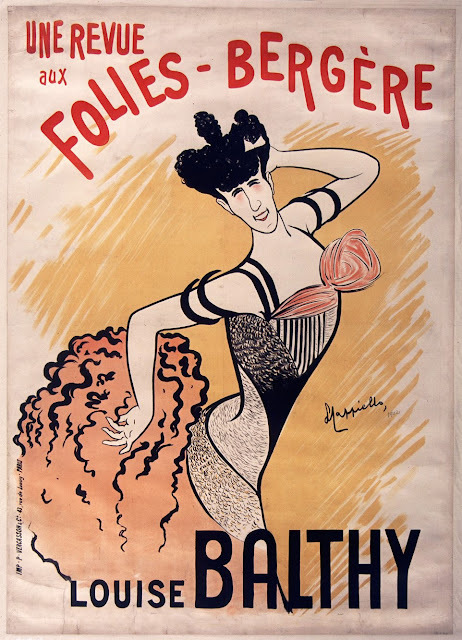 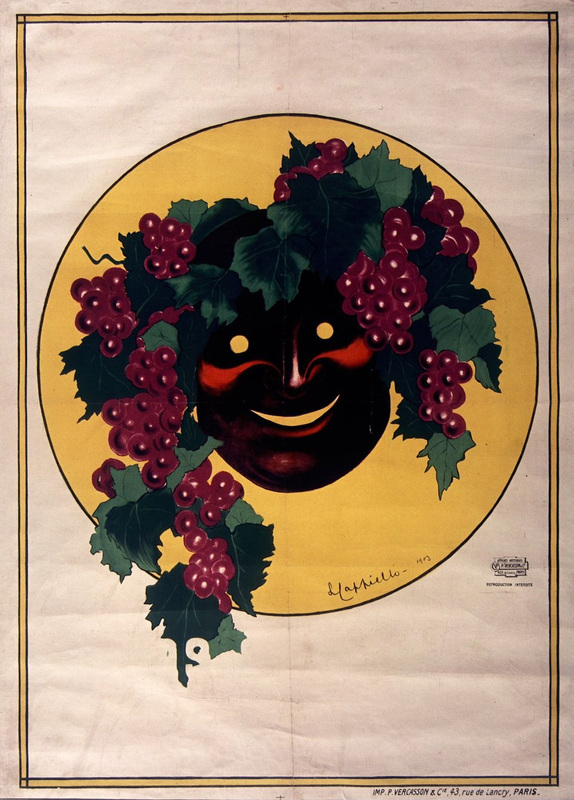 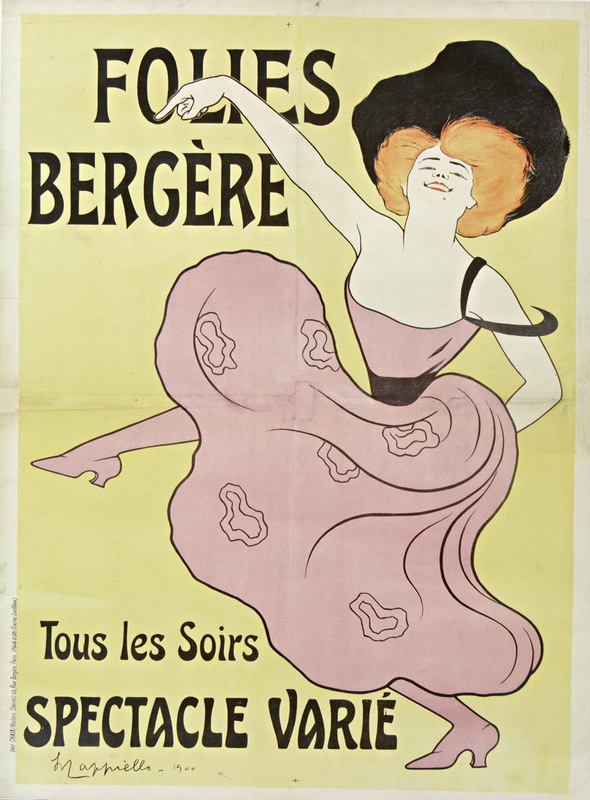 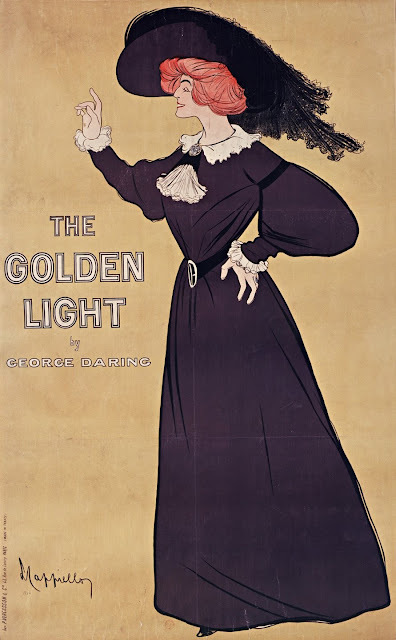 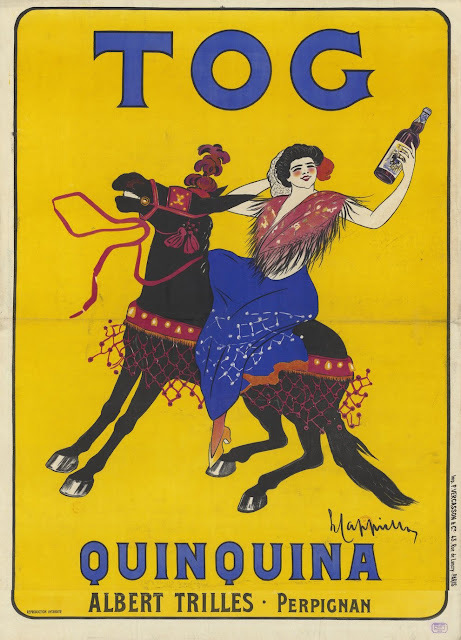 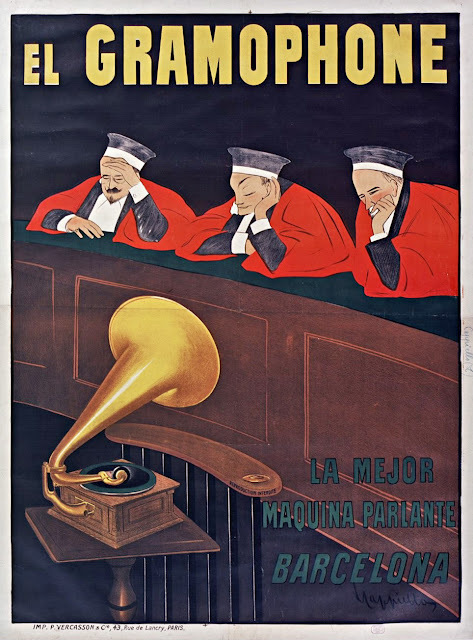 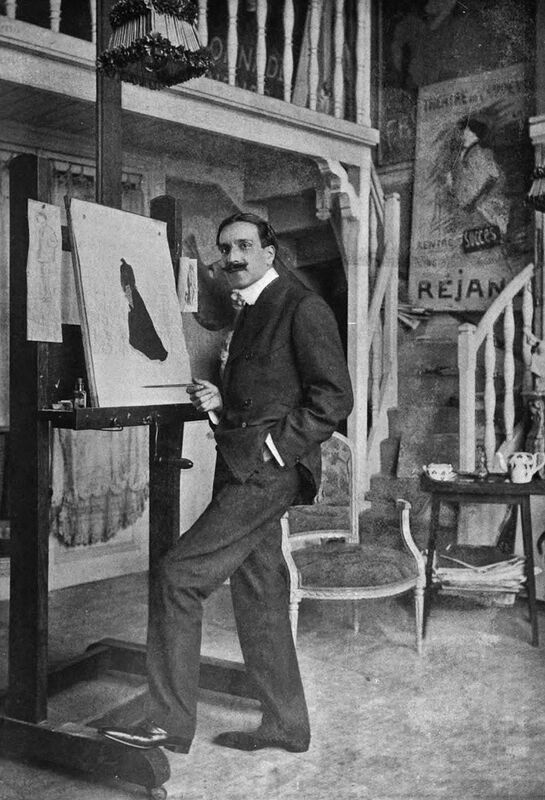 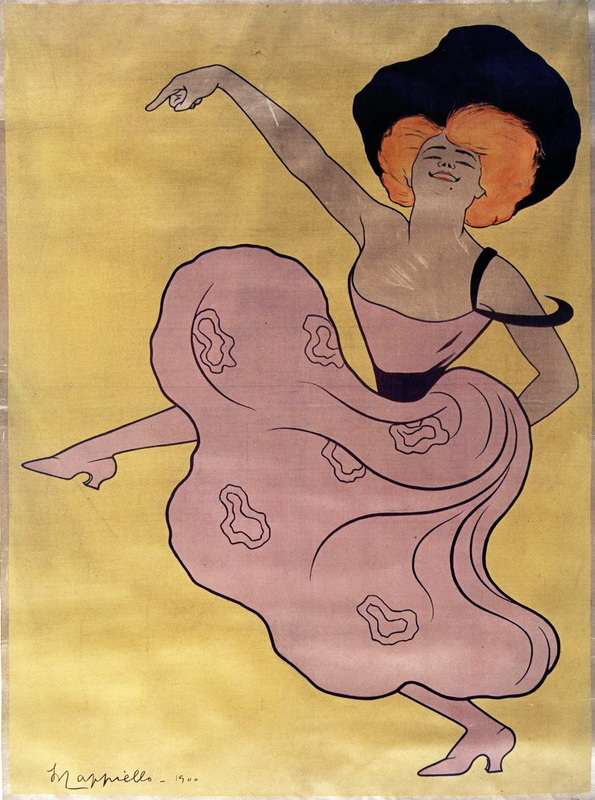 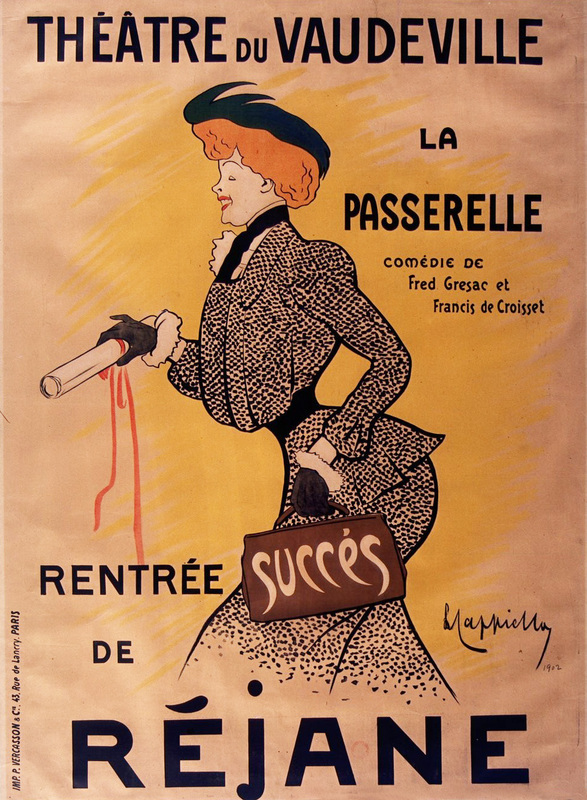 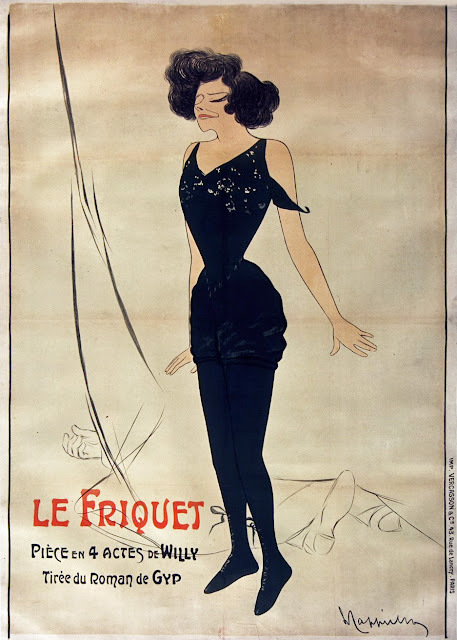 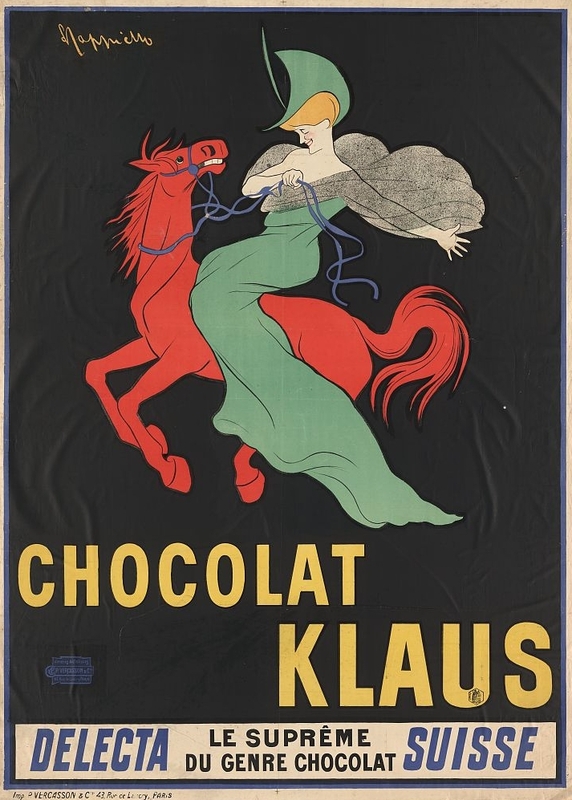 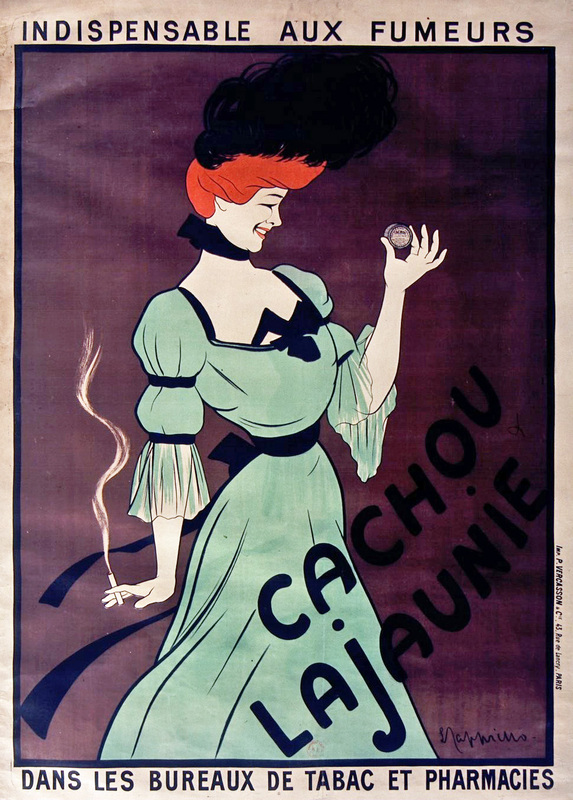 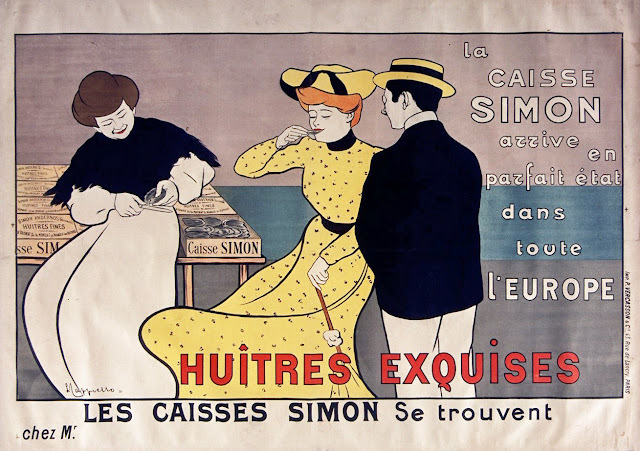 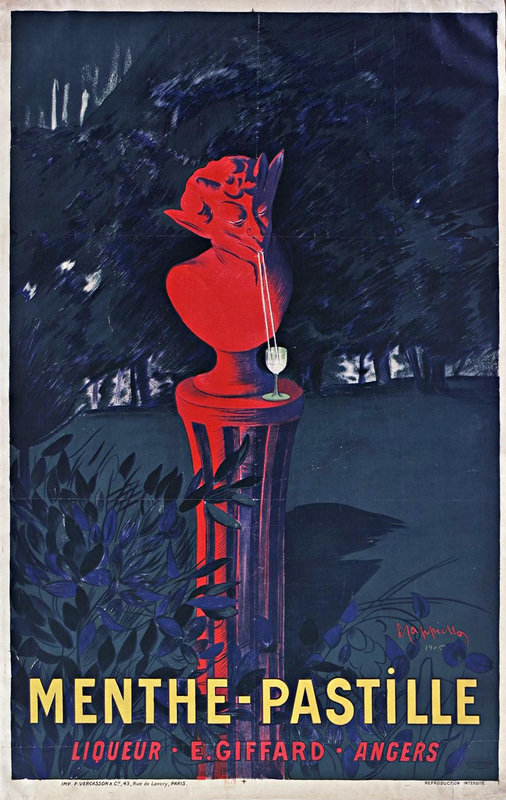 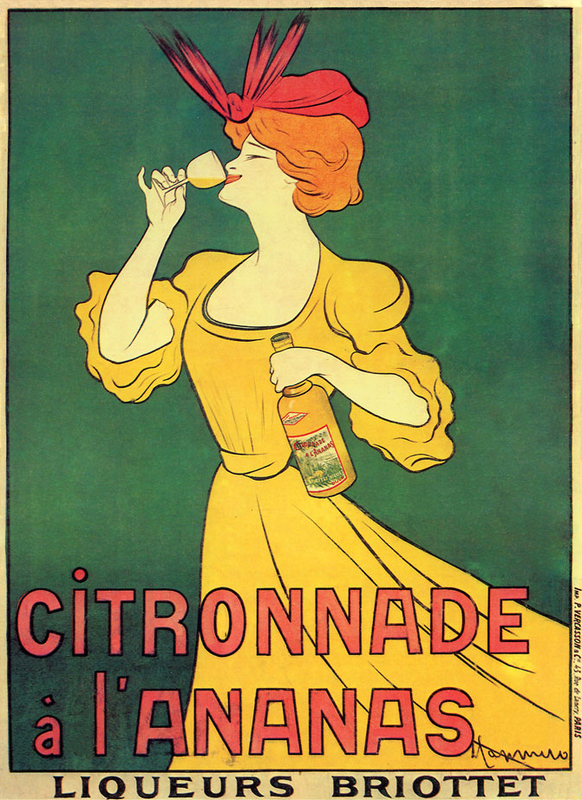 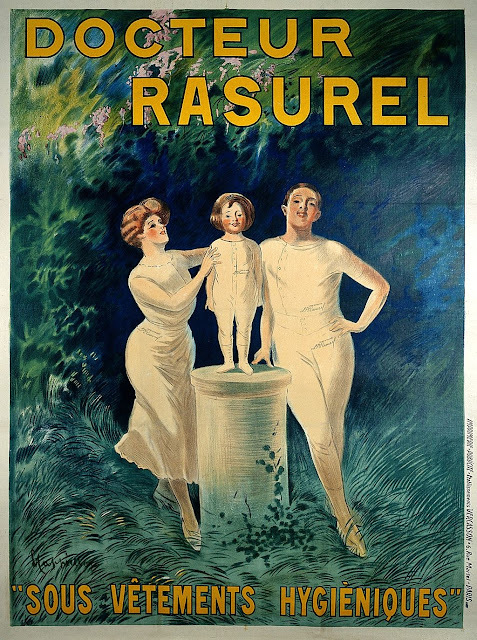 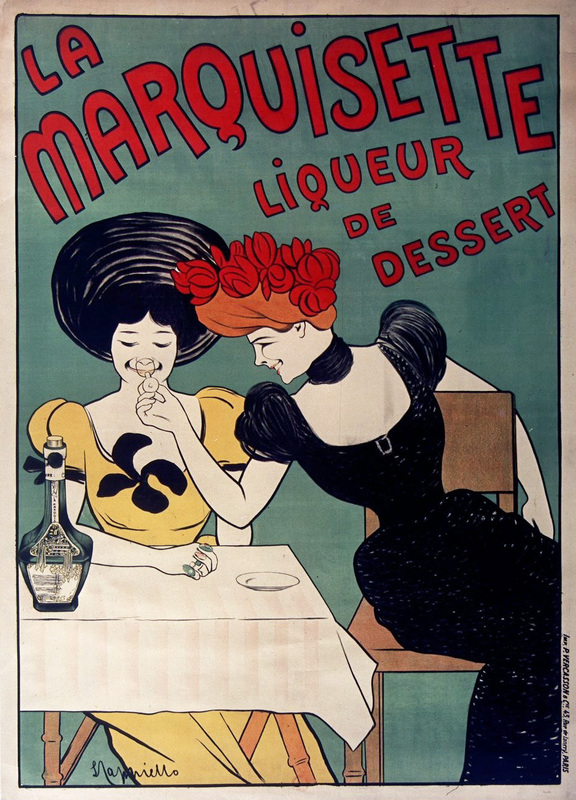 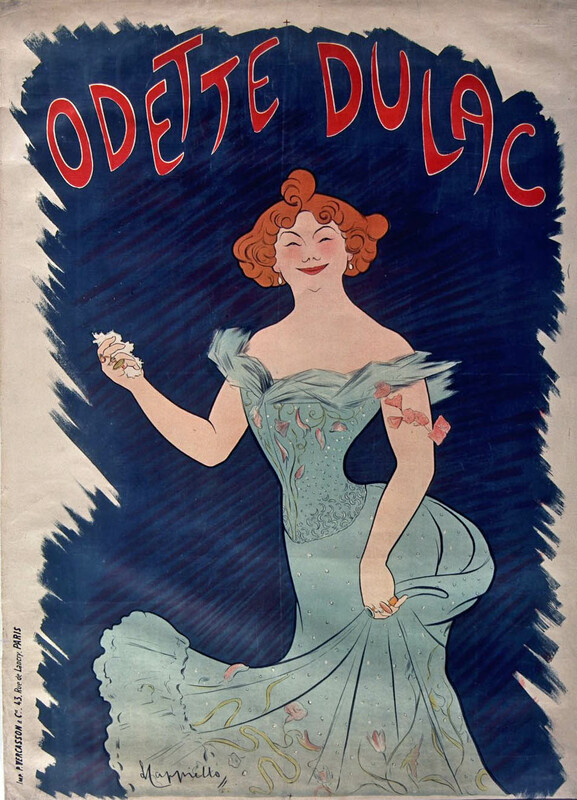 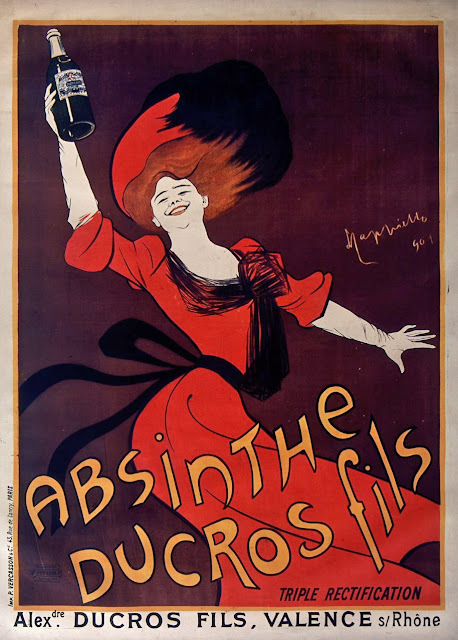 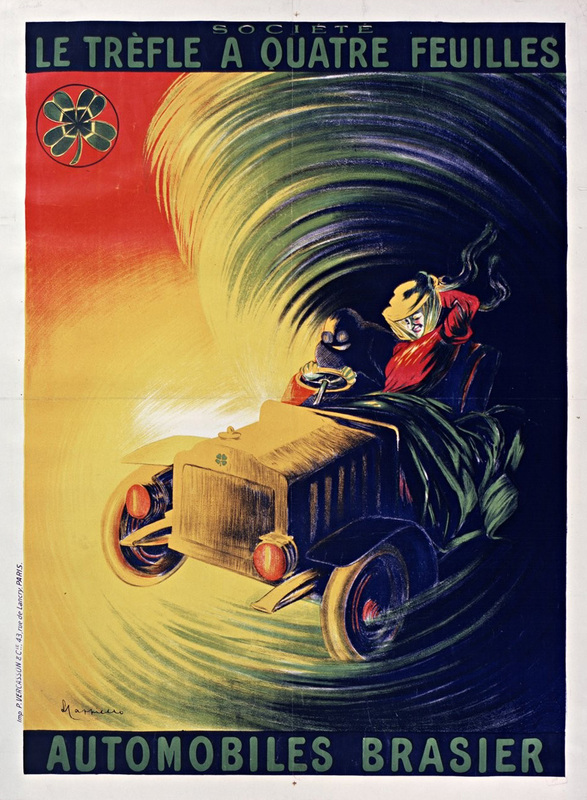 The early advertising poster was characterised by a painterly quality as evidenced by early poster artists Jules Chéret, Alfred Choubrac and Hugo D'Alesi. 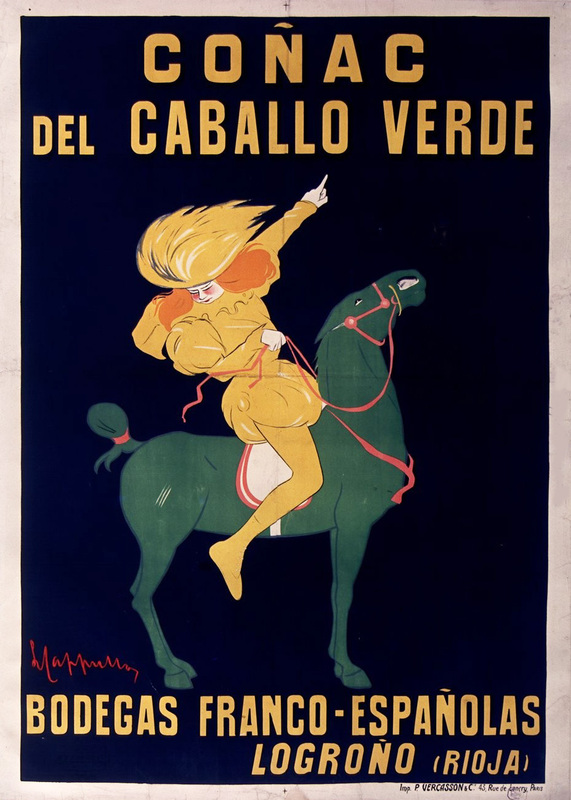 Cappiello, like other young artists, worked in way that was almost the opposite of his predecessors. 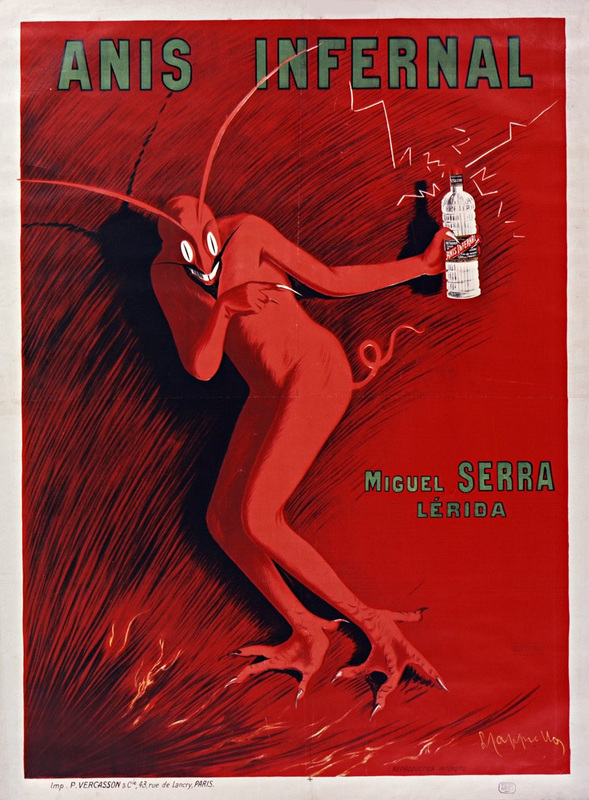 He was the first poster artist to use bold figures popping out of black backgrounds, a startling contrast to the posters early norm. Cappiello’s career as a poster artist began in earnest in 1900 when he began a contract with the printer Pierre Vercasson. 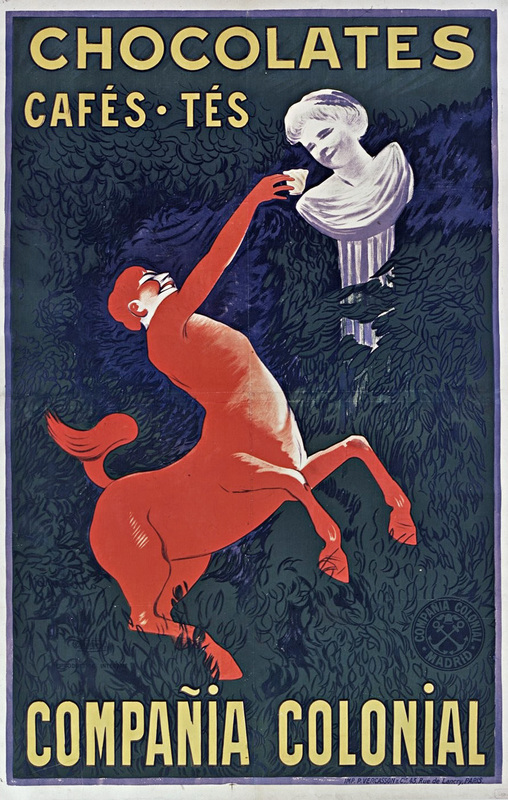 In this period, the printers would act as an agent for artists and commission work to them. 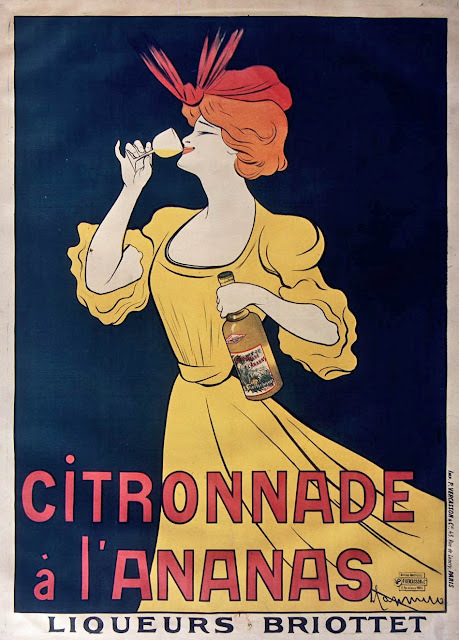 Vercasson had a print house, and his goal was to bring vibrancy and colour to the streets of Paris, he wanted the posters that he produced to stand out from the rest and attract lucrative new advertisers to his agency. Of course living in Paris, he was aware of the current art scene, and had seen many examples of Cappiello’s work, including a small number of posters already produced and in particular those for Le Frou-Frou. He knew that Cappiello had the potential to be exactly what he was looking for. 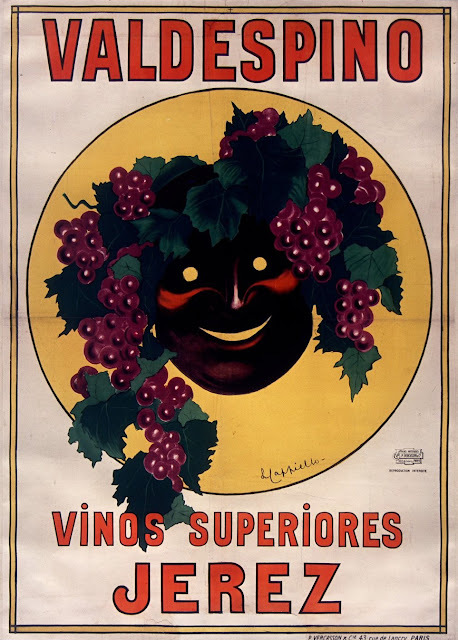 The relationship commenced with the arrangement that Vercasson would find the clients and brief Cappiello on the product. 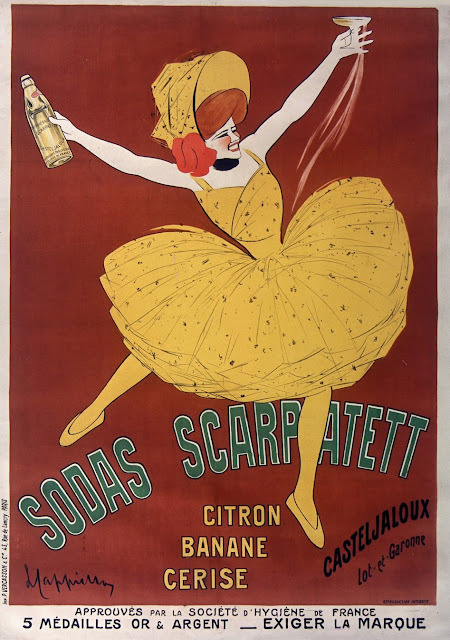 It was then up to Cappiello to produce a sketch for the client for which he would receive the fee of 500 francs, a good amount at the time. Once the design had been approved by the client, a full size design would be produced for the poster at a size of 1x1.4m, an old French paper standard known as the Double Grand Aigle. Cappiello would also be responsible for ensuring the successful transfer of the design onto lithographic stone ready for printing. 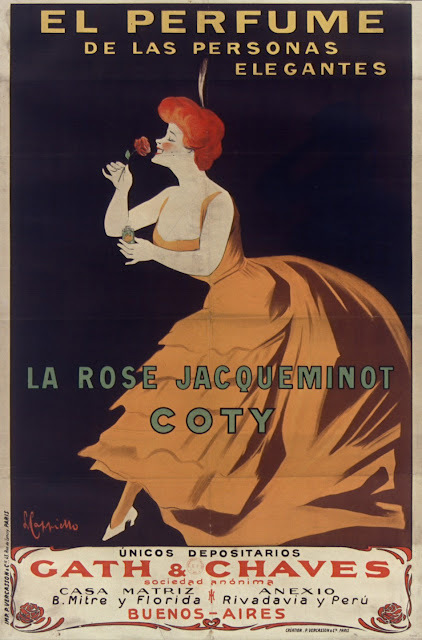 Between 1901 and 1914, he created several hundred posters in a style that revolutionised the art of poster design. 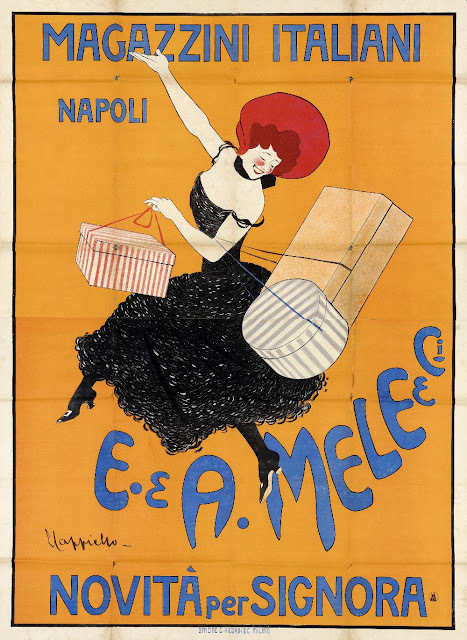 During World War I, Cappiello worked as an interpreter in Italy. 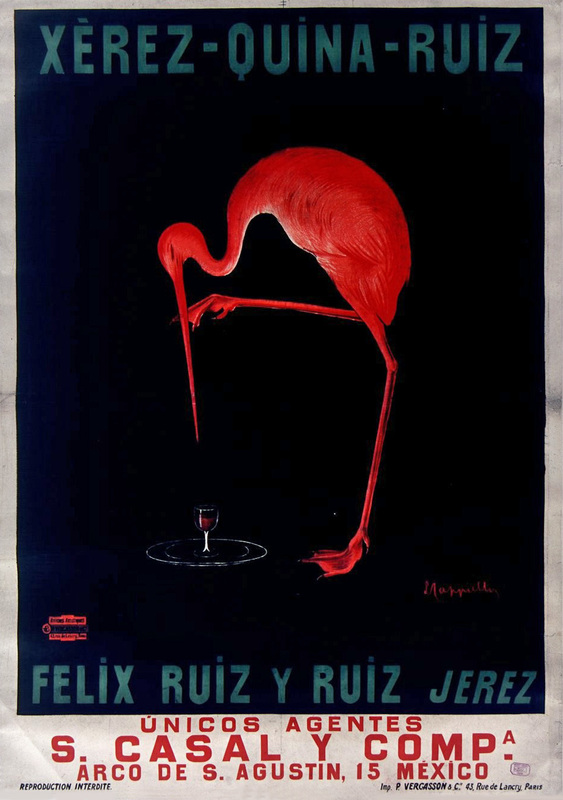 After the First World War Cappiello returned to producing posters. 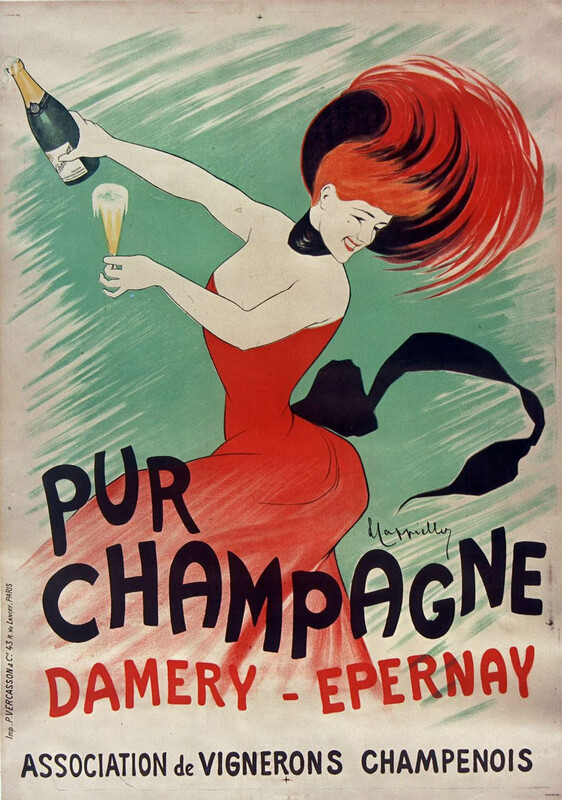 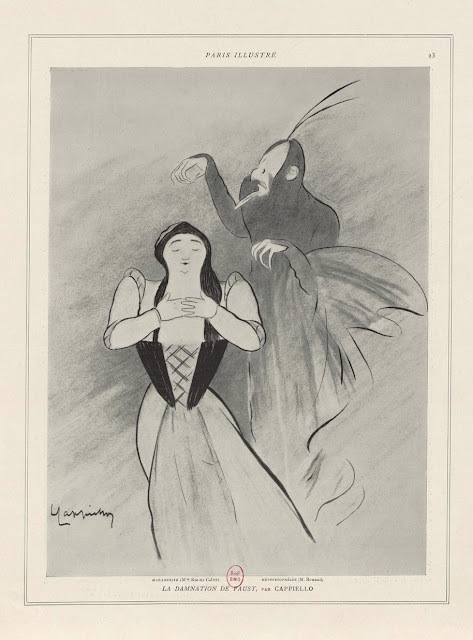 His first meeting with Devambez in 1918 marked the start of a long discussion: three years later he signed an exclusive contract with the Paris publisher for whom he designed now famous icons: such as Kub, Campari, Paraluie Revel, Pirelli, Chocolat Klaus and Poudre de Luzy, and the famous entertainer Mistinguett at the Casino de Paris. 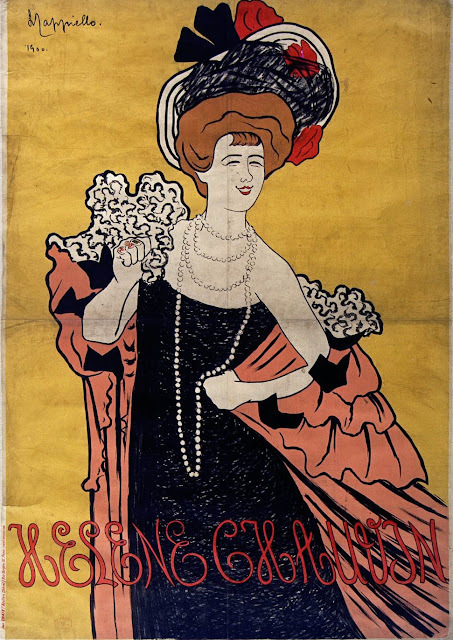 Unlike Vercasson, Devambez did not have its own print house, and had the posters printed at a number of large printers. The agency concentrated on finding new clients from across Europe, and successfully spread Cappiello’s celebrated works across the continent. 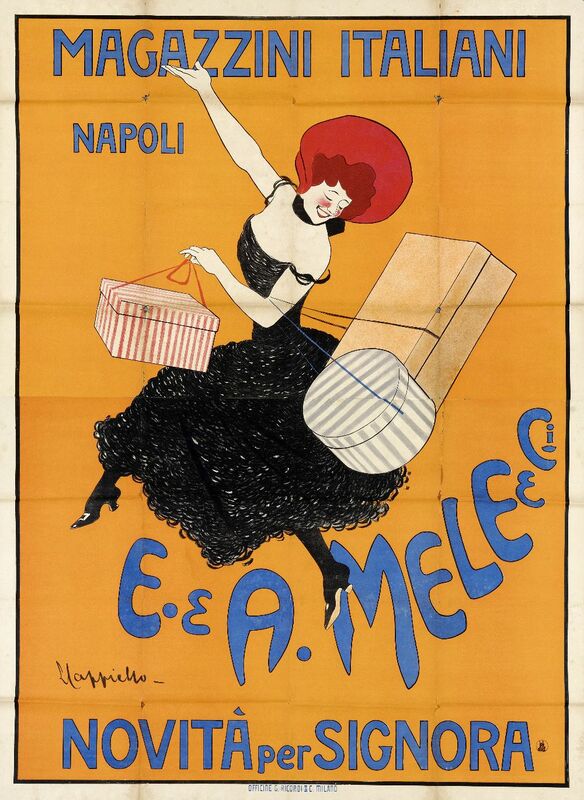 He remained with the agency until 1936..
1904 E. & A. Mele & Ci. 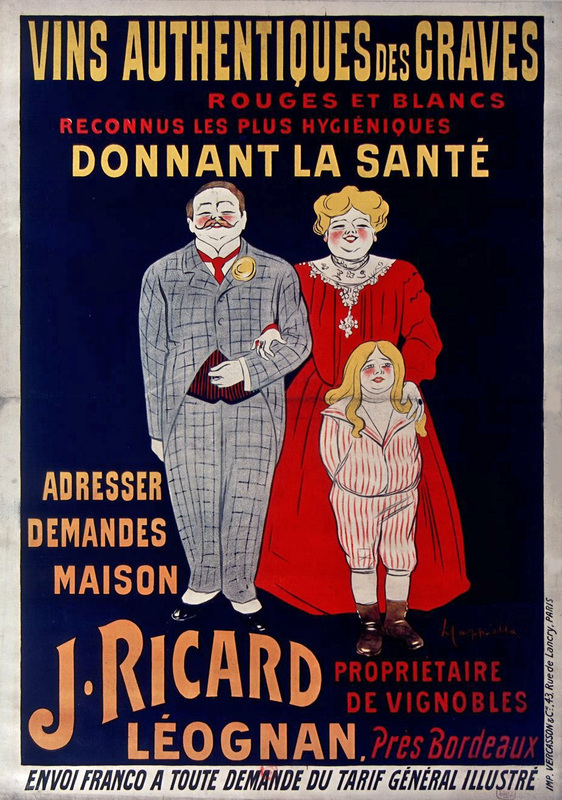 1906 Docteur Rasurel "Sous Vetements Hygieniques"